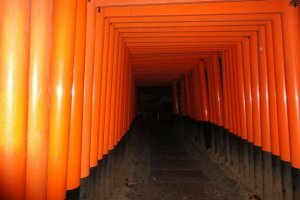 During my travels to Kyoto, I had the chance to visit numerous places. Fushimi Inari Shrine is beyond doubt one of my favorite. 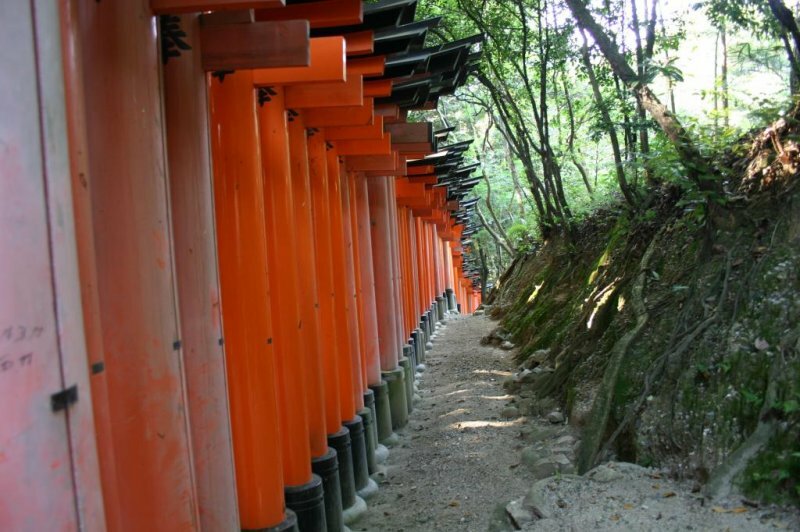 The uncountable Japanese red torii or gates lined one after the other make this place mysterious and create a sort of interior atmosphere, inside. 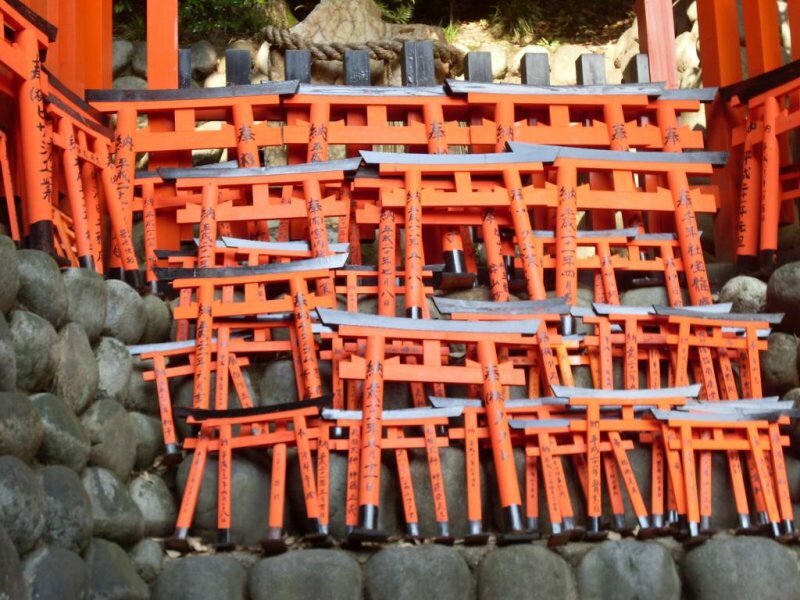 This work of art is located in the Fushimi ward in Kyoto. 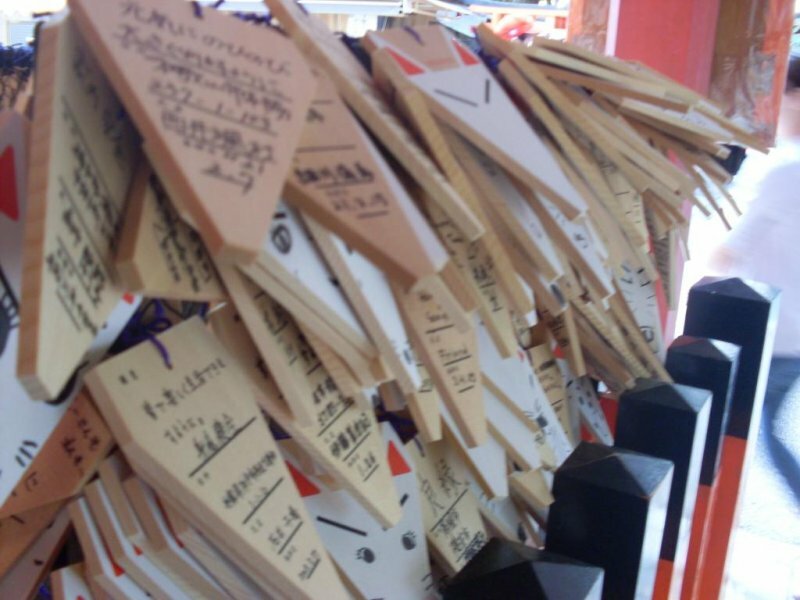 In 816, a monk named Kūkai requested the shrine to be moved to its present location. 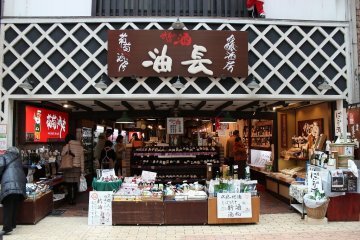 The previous structure was built in 711 on Inariyama, a small hill in the southwest of Kyoto. In 1499, the main structure of the shrine was built. 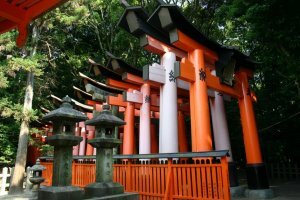 It consisted of the main gate and the main shrine which were built at the bottom of the hill. From the main gate follows literally thousands of smaller torii that allow visitors to reach smaller shrines and eventually reach the top of the mountain. This mountain is about 233 meters above sea-level and is also named Inari. 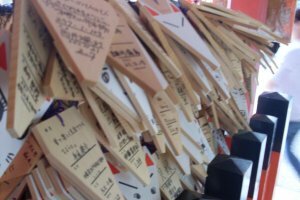 It is also interesting to know that the red torii are mostly donated by Japanese business men who worship Inari, the god of business. 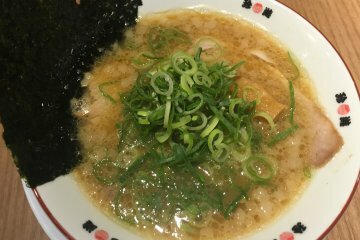 This practice dates from early Japan, when merchants gave red gates to give respect to this god, also known to be the god of rice. 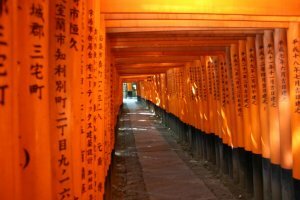 The multiple torii eventually created a beautiful sight and now attract a large number of tourists and visitors from around Japan, especially during the Japanese New Year. It can even be seen in popular movies, including Memoirs of a Geisha. 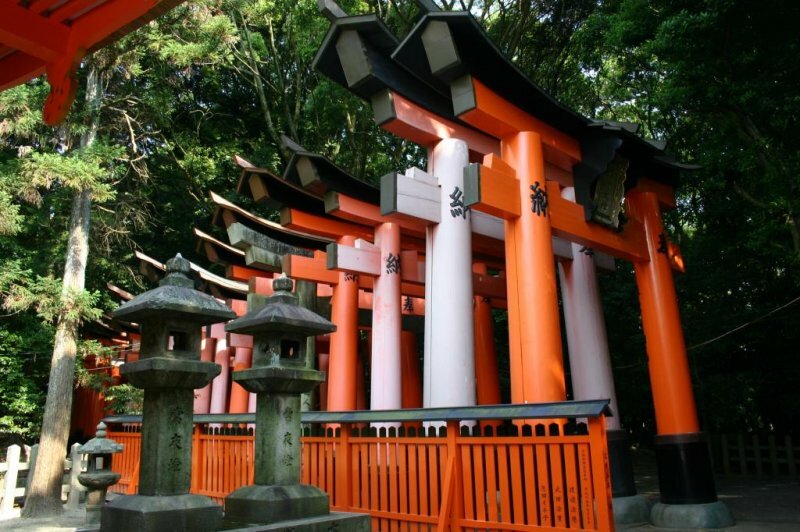 If you ever have the chance to visit this shrine, you will surely see several statues of foxes surrounding the area. 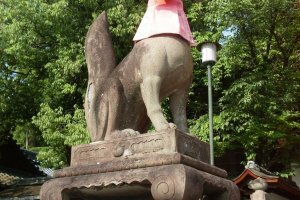 Foxes are an important part of any Inari shrines. They are considered messengers. 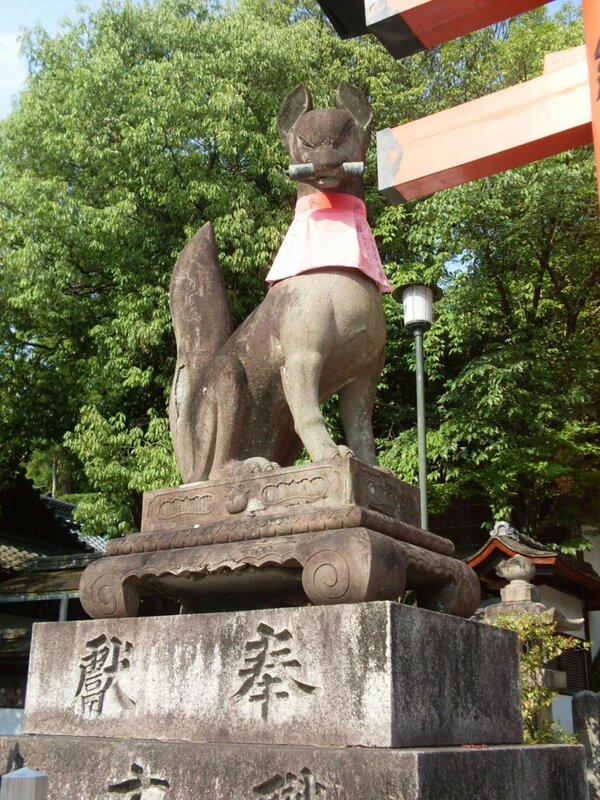 At the entrance of the Fushimi Inari Shrine you can see a big fox statue with a key in his mouth. 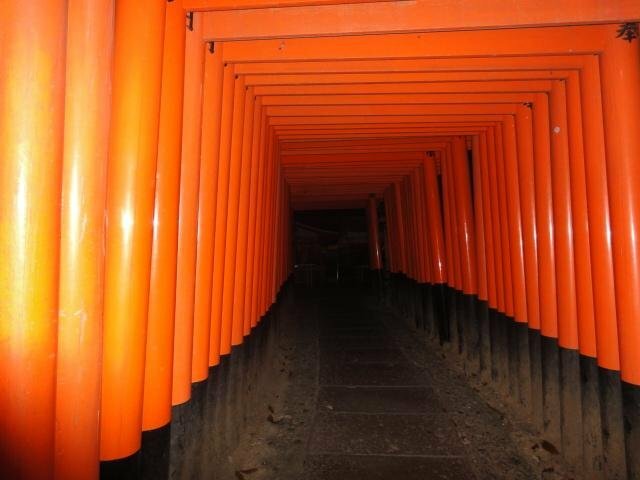 On a normal day, Fushimi Inari is a quiet place. It is easy to just walk around and take pictures without being surrounded by people. 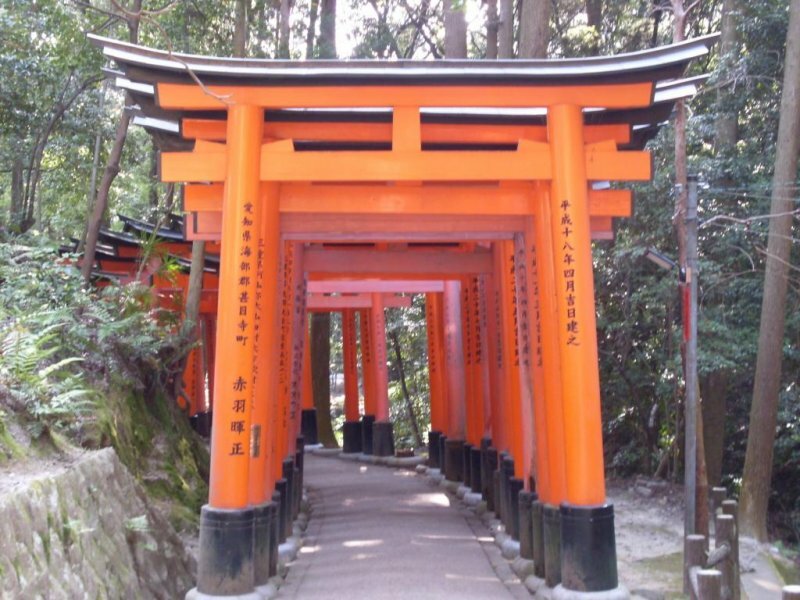 It is also a good place to visit during a hot day because of the trees and shadows of the torii. The place gets really quiet after 17:00. 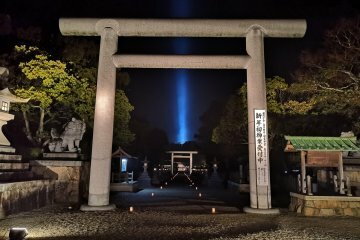 People working at the shrine leave and there are not a lot of lights around. It is still possible to walk to the top of the mountain, but be careful, even during the day, it is easy to get lost due to the high numbers of smaller paths. The view at the top of the mountain is amazing. You can see a vast area of Kyoto and there are also some seats where you can rest. Visiting Fushimi Inari Shrine is something on my to-do list every time I go to Kyoto. You can take amazing pictures and walk around without having to worry about anything else. However, you should know that the path to the top of the mountain is not always easy to walk. I would recommend a comfortable pair of shoes, although I always see Japanese girls in heels. 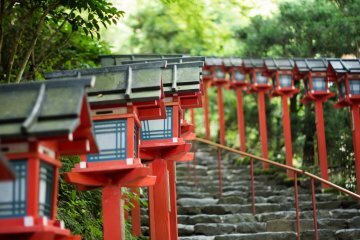 This shrine can easily be reach from the JR Nara Line station Inari or with a short walk from the Keihan Electric Railway to Inari Station. 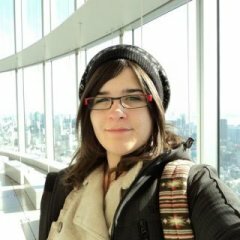 I studied Japanese culture and language for the past 5 years. 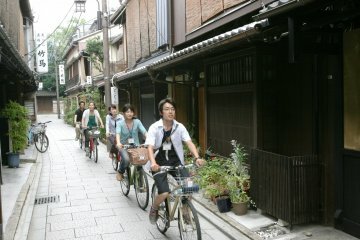 After my first year of university, I took some Japanese classes in Japan and also did a homestay in Kanazawa. I felt in love with the country! 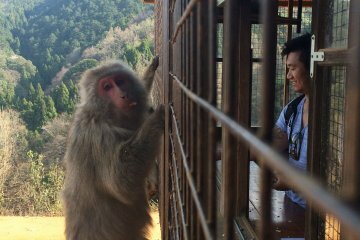 I then decided to apply for an exchange program for one year to return to Japan. 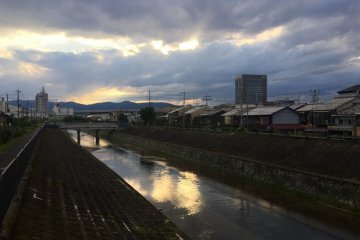 I was able to spent my last year as a exchange student in Osaka. During this year, I travelled a lot around Japan. I met a lot of interesting people and also discovered really nice places. I am going back to Japan for vacations this summer for 5 weeks to celebrate the end of my graduate studies. I can't wait to meet my friends and travel around again!